I’ve been tormenting my silver bath for quite some time now. Finally ought it time to fix it a little. I sunned the bath for a couple of days while having added a tablespoon of bicarb of sodium to help restoring the bath and getting rid of all the organic pollution. This resulted in a lot of sediment so I had to decant the silver nitrate first before starting the filtering. I should have made images of the filter pads before and after, especially before..they were black! After a lot of filtering the pads finally remained in its clear white condition which told me the bath was okay now. 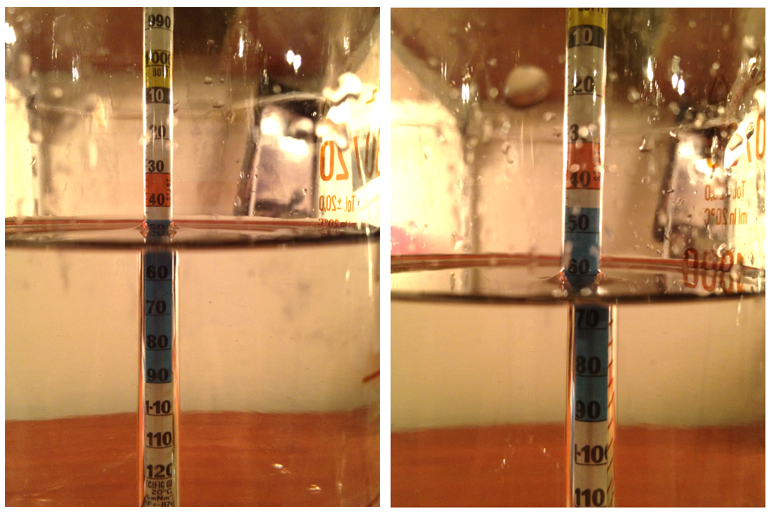 Then it was time to measure specific gravity. It should read about 1.06 / 1.07, mine read about 1.04 / 1.05. The image on the left is before adding silver, the one on the right after adding the silver. I actually pinched in a bit more silver nitrate after that photo so it should read about 1.07 now. 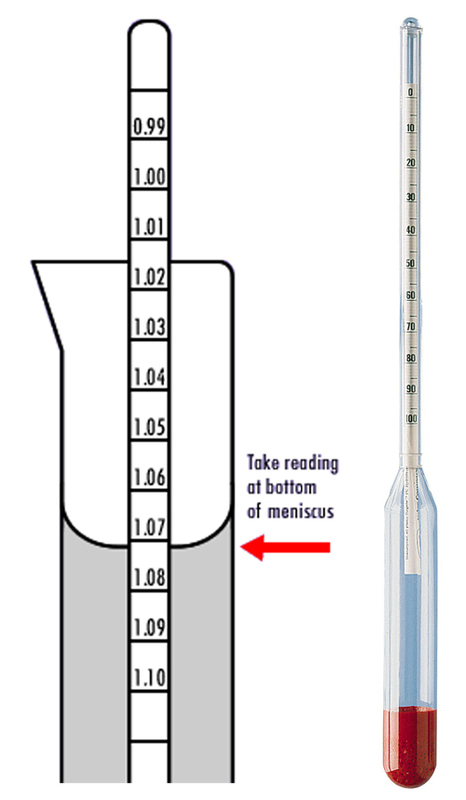 Measuring the specific gravity you use a hydrometer which reads around the value that you need. You can get one very easily at a (beer or wine) brewer shop for example. My silver bath is working fine and looking good again! This entry was posted on July 29, 2012 by Contrastique. It was filed under Wet Plate Collodion-Process & Chemistry and was tagged with hydrometer, maintenance, silver bath, silver nitrate, specific gravity.